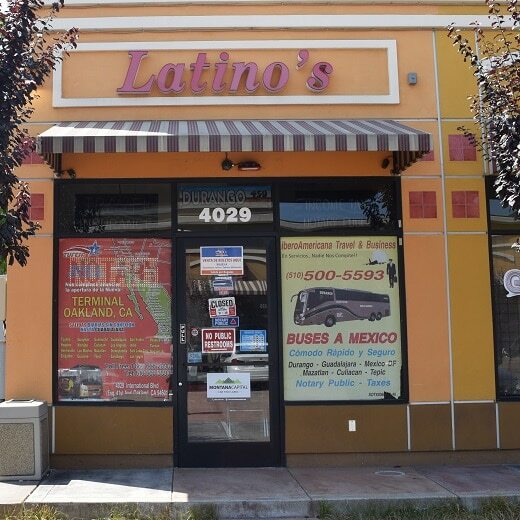 I received the loan on the San Jose, Ca office and i had a really good experience. The guy that help us was really nice and was very clear with everything. The process was very quick. I really liked it. hope you can experience it if you ever need to. Easy transaction and the guys were super friendly. Explained everything clearly and actually made me feel comfortable with the whole loan process. I would recommend them in the future. I received a loan from Oakland Car Title Loans and the experience was better than I expected. They make payment option easy, including the option to "pay near me" where they provided me with a card which I was able to use at any 7-11 in order to make sure I had my payments in on time. Not only that, they made qualifying for the loan easy and the entire process took no time at all. Friendly staff well knowledgeable, Jose very nice fellow. Person who helped me was very professional. Loved the service! The International Blvd. 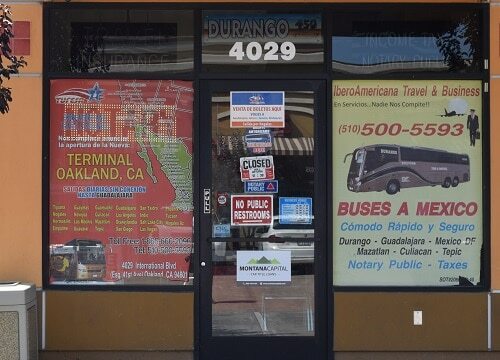 Montana Capital Car Title Loans in Oakland Branch will be open for business Soonץ We rent a space inside the store of Ibero Americana Travel & Business. The store is located at 4030B International Blvd. near the intersection with 42nd Avenue. If you live in Oakland and in need of quick cash, stop by the International Blvd. 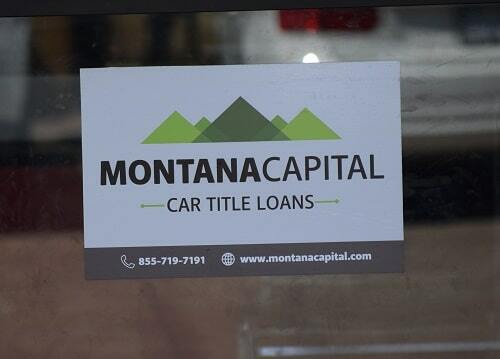 Montana Capital Car Title Loans in Oakland Branch. We are providing all our customers with unsurpassed customer service. Oakland, California is the home of the busiest port situated in the San Francisco Bay; the Port of Oakland. This helps with its reputation as an important trade center. Oakland is also known to advocate sustainability practices that include using electricity that comes from renewable resources. Besides sustainability issues, Oakland residents also have a history of promoting political activism. The Golden State Warriors, the Oakland Athletics and the Oakland Raiders are its professional sports teams. Due to the large African American population and the influx of immigrants in the 20th century, Oakland has become the most ethnically diverse large city in the US. If you need money quickly and you live in Oakland CA, you can simply turn to Montana Capital Car Title Loans Oakland. Our car title loans are secured, so by using the car as collateral we are able to offer loans of $2,600 and up. You can apply even if your credit score is bad or even if you have no credit at all. We approve applicants based on our credit criteria, which include your ability to pay the loan and your car’s value. The pre-approval process usually takes minutes to complete and is quite simple so go ahead and fill in the online secured loans application form. When you apply with Montana Capital Car Title Loans in Oakland, there is the possibility of getting from $2,600 up that you can use for any need. Many times people who are getting behind on their bills will apply for a car title loan and then use that money to get caught up. The cash from auto title loans are also useful for paying school tuitions, covering emergency expenses, taking trips or paying for some remodeling on your home. The sky is the limit with auto equity loans, because if approved, you can use the money in any way that you want to. To find out if you qualify for a pink slip loan with Montana Capital Car Title Loans in Oakland, simply fill in the contact form above. We’ll need to know a little bit about yourself and the details of your car so that we can check its value. If your car has enough value and you can prove your ability to repay the loan, you can be pre-qualified for a loan. The next step would be for us to put our name on your car title as the lien holder. You can keep your car, however, and drive it as usual. When you have fulfilled the loan payments, you will receive a clean car title. Contact us now for more information.